Things I have never made at home: jam. Yes, I’ve reached 39 years old and have never made jam in my life! It’s a shocker I know, especially for one who loves to cook. 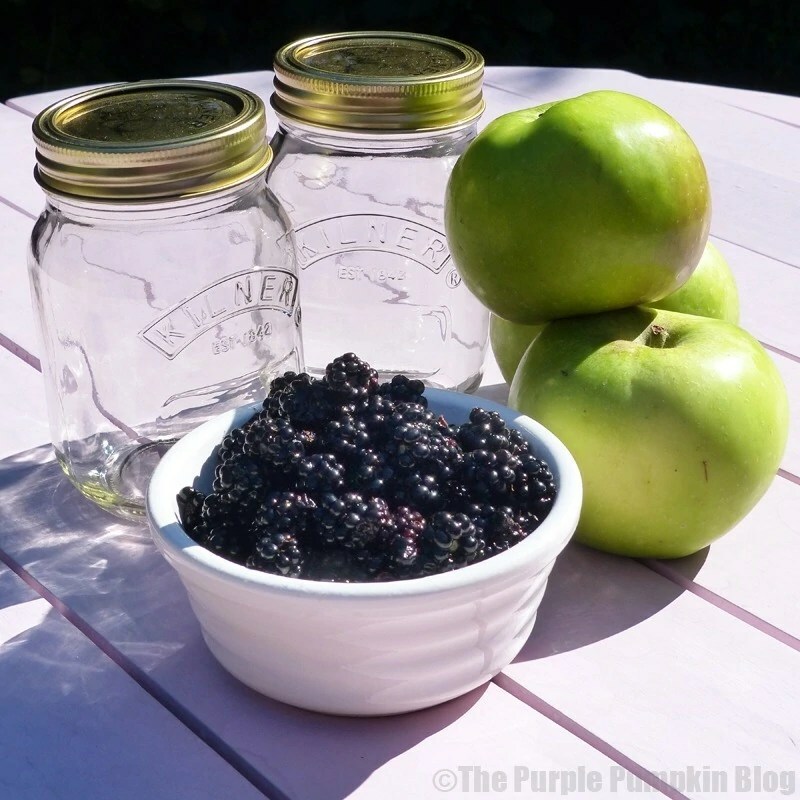 So, after a glut of blackberries from the bushes in our garden, we decided to not let them go to waste, and added them to apples and jam sugar to make this sticky sweet treat to spread over toast, and crumpets, and bagels, and… you get the idea! 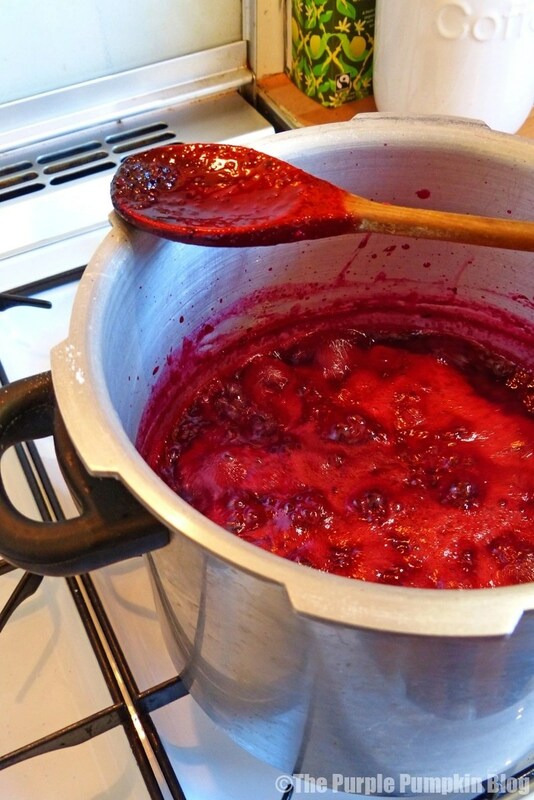 Do not be scared of making jam – it is a lot easier than you think. 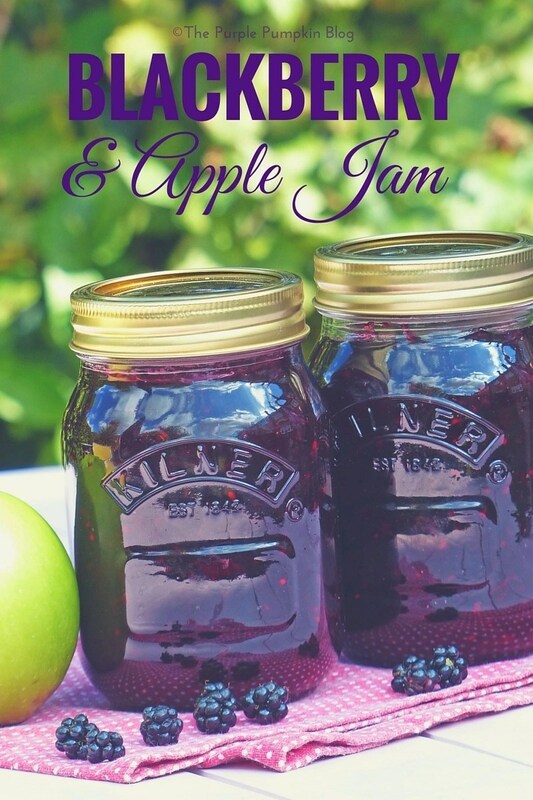 To make this blackberry and apple jam, you need 500g of each of the fruit, 1kg of jam sugar (which has added pectin, which is what helps to make the jam set) and some lemon juice. Wash the jars and lids thoroughly with hot soapy water. Rinse and turn upside down to drain off. Turn the jars the right way up, and place on a baking tray. Pop into a pre-heat 180C/350F/Gas 4 for 15 minutes. Meanwhile, the lids go into hot, simmering water on the stove top for the same amount of time. Take the jars out of the oven to cool before using. And dry the lids by placing on a clean tea towel. ), I’m not sure why you need these, but whenever I’ve been given a jar of home made jam, it had one of these popped on top, so I felt the need to add them! However, upon reading online, it would seem, if you are using proper lids, you don’t need a wax disc; they’re only really necessary if you’re just using cellophane and an elastic band to form a lid. 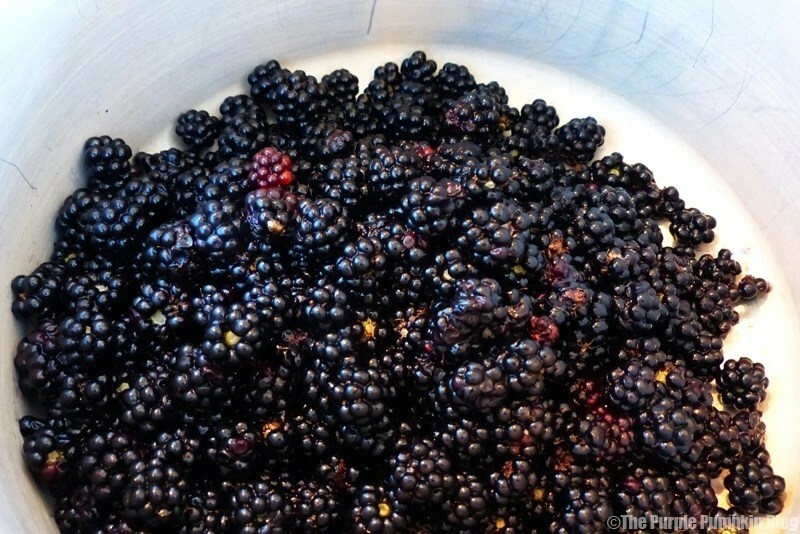 We washed the blackberries, and popped them in a large, heavy based saucepan, with peeled and chopped apples, lemon juice and water, and cooked down, over a medium heat for about 15 minutes. Next, the jam sugar goes in. Give it a stir until the sugar is dissolved, and bring to a rapid boil. At this point, we put a saucer into the freezer so that we could check the set of the jam. After just 5 minutes of boiling, it’s time to test the jam! Remove from the heat, and drop a teaspoonful onto the freezer plate, and leave it for a minute. 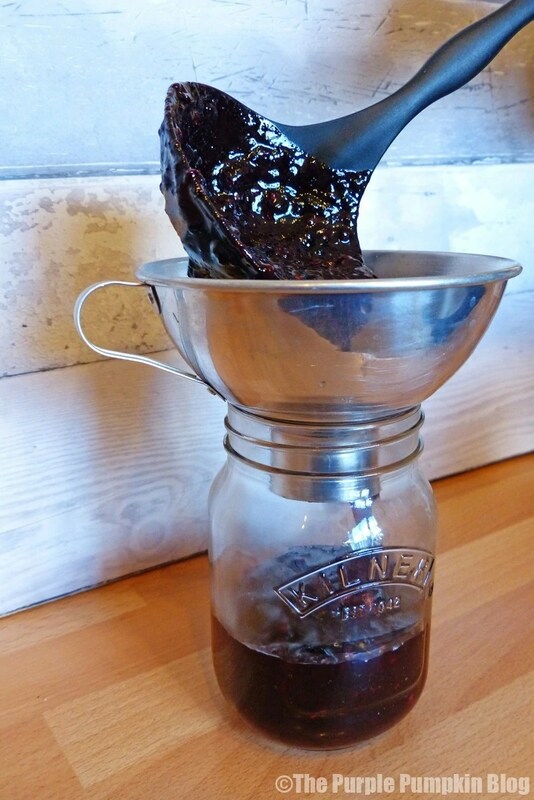 Then, with your finger, give it a push – if it wrinkles, the job is done, and you leave the jam to cool for an hour. If it doesn’t, put back on the heat to boil for a couple more minutes and test again. We found after 5 minutes it was fine. 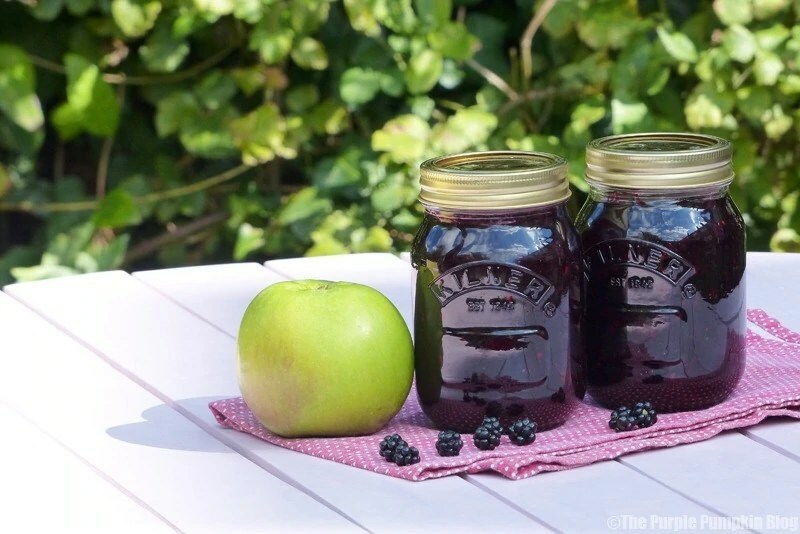 ), use a ladle or a large spoon to add the jam to the jar – filling up to as close to the top as possible. Immediately use a wax disc (if you using) and seal with a lid. And that’s it! They can be stored in a cupboard until opened, after which time, store in the refrigerator. 15 minutes to sterilise jars. 15 minutes to cook fruit. 5 minutes to boil jam. Makes about 1.5kg of jam. 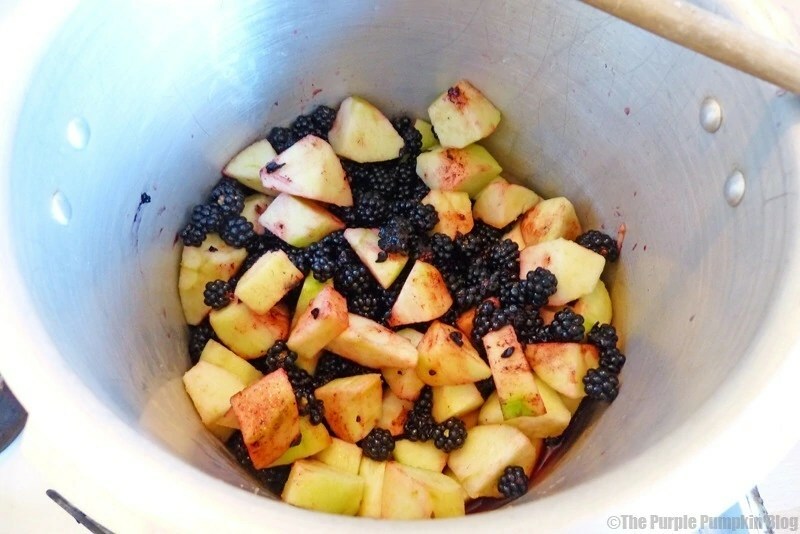 Place the blackberries, apples, lemon juice, and water into a large, heavy based saucepan. Cook over a medium heat for 15 minutes or so until the fruit is tender. Add the sugar, and stir until dissolved. Place a saucer into the freezer for testing the jam. Bring to the boil, then boil rapidly for 5 minutes. 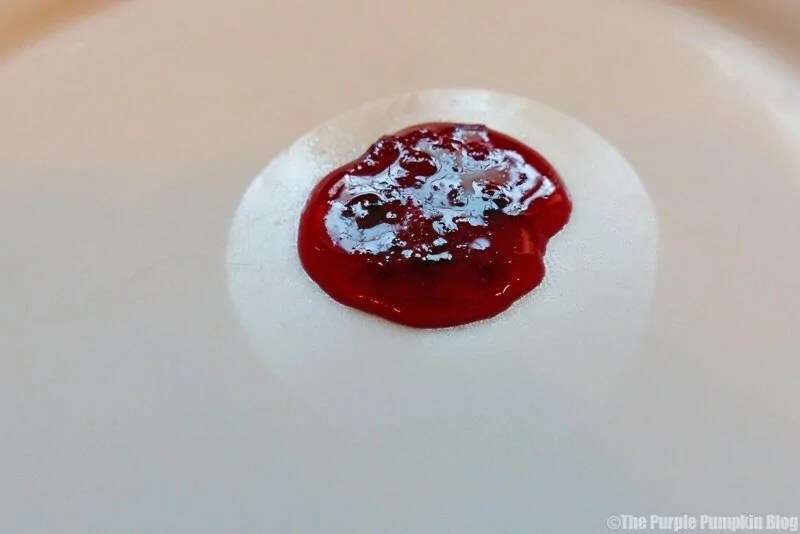 Remove the saucer from the freezer, and test the jam by placing a teaspoon of it onto the plate. Leave for 1 minute, then gently press along the side of the jam with your finger. It should wrinkle up. If it does, it is ready. If it doesn't, return the jam to the heat for another couple of minutes. Test again. 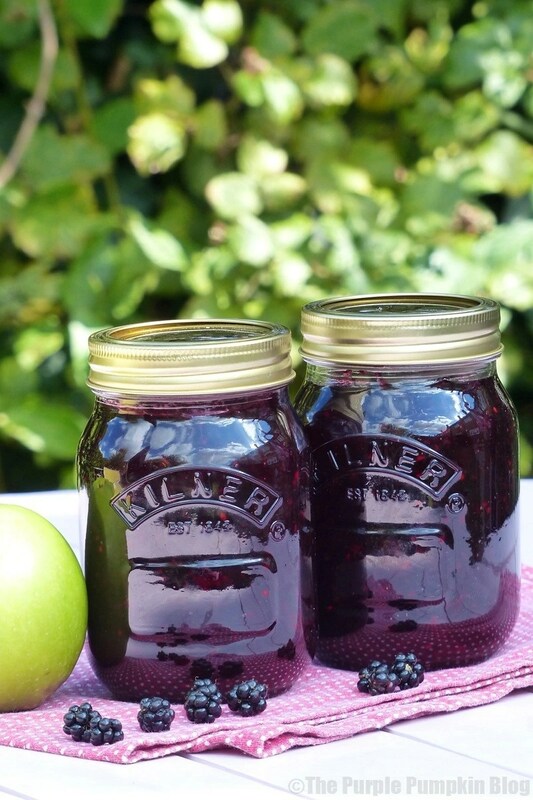 Leave the jam to cool for 1 hour, before transferring to sterilised jars. Fill as close to the top as possible, before sealing with a wax disc (optional) and lid. Once opened, store in refrigerator.